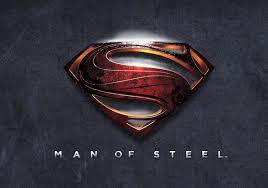 Man of Steel the game hails from developer Phosphor games, a relatively new studio who crafted games like Kinect Adventures for the Xbox 360 and the mobile game based on the upcoming film inspired by World War Z. It can be downloaded at cost of $2.99 for both iOS and Android platforms, correction, for Android platforms in the United States. For some reason the app is not available in Canada for Android enabled devices (where I reside). For the purposes of this review, I played the game on a fifth generation iPod touch. 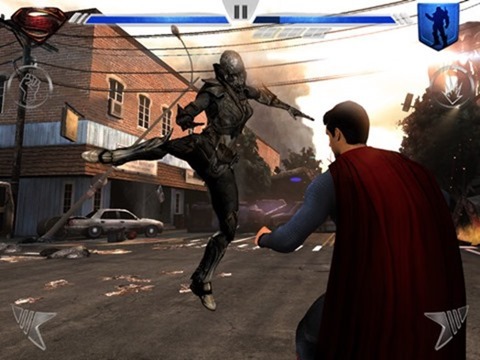 The game is inspired by other hit mobile games like Infinity Blade or WB’s own Batman: Arkham City Lockdown where you take place in one on one battles using swipes and other gestures to dodge and attack. MOS has a simple control setup: you swipe to attack, press and hold anywhere on screen to block or parry, pinch to grapple and dodge left and right using on screen buttons. You can access heat vision and a flurry of super punches by using designated on screen buttons with cool down meters. 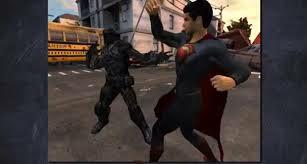 Superman and his opponents stay firmly planted on the ground, unless in the midst of a fight you knock an opponent in the air for a simple combo or a short flight in which you can steer opponents into obstacles for additional damage. Where MOS suffers most is in the controls, as they only really work in the tutorial. On the device I used (you can sound off in the comments if you played on another device) nothing worked accurately enough in the combat to be useful. Parrying or blocking was rendered useless by simply dodging and grappling is absolutely pointless with the exception of one enemy. You fight a drone which guards and if you try to hit it you lose power. In order to lower its defenses you have to grapple it to then open it up to attack. This results in you pinching at the screen watching Superman do anything except what you want him to do. Trying this with a more active opponent ends up in you losing and restarting. n between fights you can level up your characters abilities (like your health, attack power, etc) or your super abilities…..in theory. You see, in the tutorial for the game where it shows you how to do this, it prompts you to hit a “+” symbol to level up one of your stats. I tapped, and tapped, and tapped around the device but could not get this to work until magically it did. This was a constant source of frustration for me the entire time I played this short game. The “+” symbol is extremely small and I could never tell if the button just didn’t work properly, or if my fingers were too big. Leveling up is one of the major mechanics of the game which you need to succeed in later fights, and when a simple thing like a menu doesn’t work, that’s a problem. That being said, I’m not sure if this is not a problem on a screen say the size of a tablet, but I don’t have a tablet and I’m sure other people who play this game won’t either. Using other on screen men buttons like “back” or “continue” worked fine. On top of the loose controls and broken menus, there simply isn’t a lot of content in the MOS. There’s a short story campaign that’s just the same fights with similar opponents in the same environment and a survival mode. You can unlock alternate costumes for Superman, but they’re just the outfits the other Kryptonian officers wore in the film. It would’ve been nice if Phosphor games included a costume or two from the comics for good measure, or maybe a bonus level where you’re in flight. The nicest thing I can say about MOS for mobile is that the few motion comic cut-scenes in the game are nice to look at and well narrated. Everything else is not worth your time, even at a $2.99 price point. Use the money to put towards another ticket to the movie, or a comic.